Winner one year ago when the tournament was staged in the American city of Philadelphia, Miu Hirano defends her title at the forthcoming Uncle Pop 2017 ITTF Women's World Cup presented by Polar Naturals. Success in Philadelphia meant that she became the first player not representing China to win the title; overall in the 20th edition of the tournament, she became the ninth player to don the prestigious crown. She followed in prestigious footsteps; Deng Yaping, Ding Ning, Li Xiaoxia, Wang Nan and Zhang Yining, all true legends of the sport having been both Olympic Games gold medallists and World champions, are past winners. 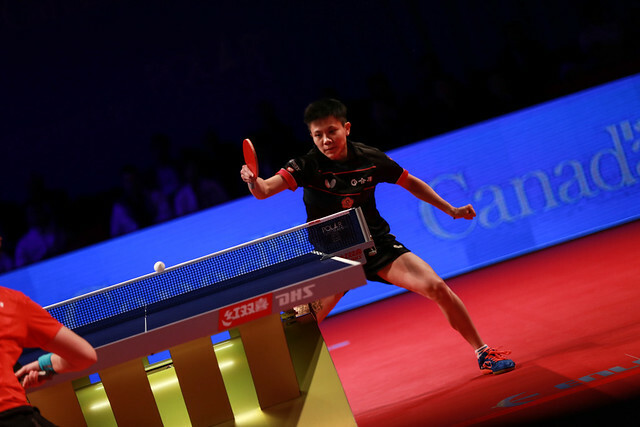 Add to the list the names of Guo Yan, Li Ju and Liu Shiwen, there are no notable omissions as in the counterpart Men’s World Cup, an event three times World champion, China’s Wang Liqin, never won. He competed nine times, his best in 2001 in Courmayeur when beaten by Vladimir Samsonov of Belarus in the final. Miu Hirano stands alongside the greatest of all time; additionally at the Uncle Pop 2017 ITTF Women’s World Cup presented by Polar Naturals, she is the youngest player on duty. She is almost four years younger than the next player in the age order; Lily Zhang of the United States now 21 year old is the subsequent name on the list. Now when has it happened in any World title event that youngest player by some notable distance and still well in teenager years is the defending champion but was not the youngest when she won the title? Even though only 16 years old at the time, when succeeding in Philadelphia, she was not the youngest competitor; the one other Japanese player on duty was Mima Ito. Born on Friday 14th April 2000, Miu Hirano is some six months older than her compatriot; Mima Ito was born on Saturday 21st October 2000. In Markham, it is Kasumi Ishikawa who completes the Japanese line-up; in the Canadian city she will be competing in the Women’s World Cup for the fifth time in her career. Furthermore, she will be hoping to maintain present progress. In 2011 in Singapore, in a system where the initial stage witnessed four groups of four players, first and second advancing to the main draw, it was third place in the group for Kasumi Ishikawa and elimination. Two years later in Kobe it was a quarter-final finish, third position in 2014 in Linz, the runner up in 2015 in Sendai. Now in 2017 one more step for Kasumi Ishikawa?